SOMALIA, HUDDUR 22.05.2006 PHOTO: ESPEN RASMUSSEN NO SALES IN SWEDEN, DENMARK AND NORWAY! Huddur in the southwestern parts of Somalia. The country has been without any government, any healtcare or schools since 1991. There is a high level of violence in the area, with regular clashes between different clans. 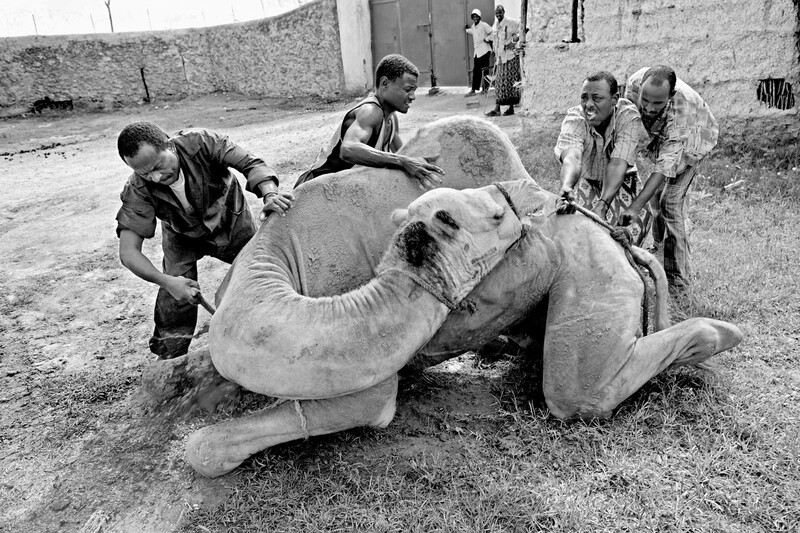 A butcher and his helpers are killing a camel with a knife. The meat is for a party at the only functioning clinic in the area.